On September 8 Kurdish groups in and around the city of Koya in northern Iraq were struck by a bombardment. Locals said that missiles and drones were used in an attack. 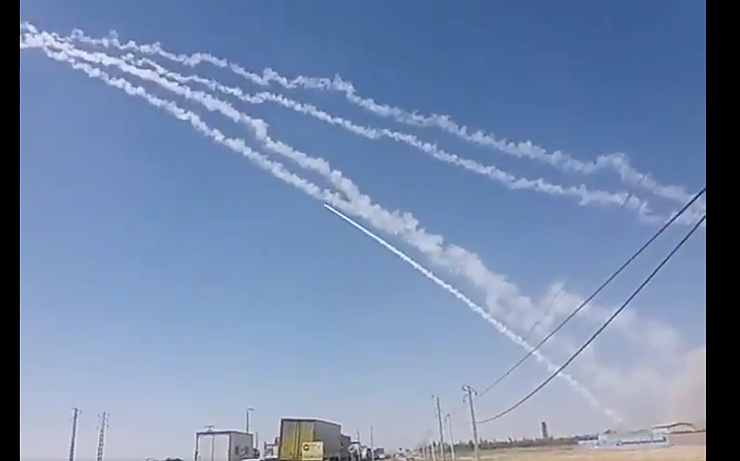 Video showed rockets streaming across the sky from the direction of Iran towards Koya. Iran is known to possess both the missile capabilities and artillery to strike the area. However it would be the first time the Iranian regime has used missiles at this distance to strike deep inside Iraq. The day before the attack Iranian President Hassan Rouhani met his Turkish and Russian counterparts to discuss Syria. However in the last year Turkey and Iran have also discussed Kurdish issues relating to Iraq. Turkey has been carrying out a campaign against the PKK in Iraq, striking Sinjar and other areas. Videos were posted on September 8 showing missiles flying through the sky. Later a second video was posted by PDKI on their Twitter account. We analyzed this video for certain features and signs that appear in it. There is a promotion for a furniture factory or manufacturer of furniture by the road. In Farsi it reads “Lavazem Khanegi Hanizan (كارخانه لوازم خانگي هانيزان).” A second sign says “Ranjbar,” a common last name, according to a person familiar with the area. We looked for a place that matches the name and found a company listed in a Tabriz Industrial area (تبریز – جاده پتروشیمی-انتهای پارکینگ پتروشیمی). The attack began around 11am on September 8. Local video showed clouds of smoke from the strikes and video showed missiles streaking across the sky. “Iran is shelling the KDPI, Iranian opposition party camp in Koya Kurdistan region. Koya Department of health said there are 5 killed and 30 are wounded. More than 500 families who fled Iranian regime brutality in the 80s and 90s live the camp with many children and elderly,” wrote Vager Saadullah on Twitter. 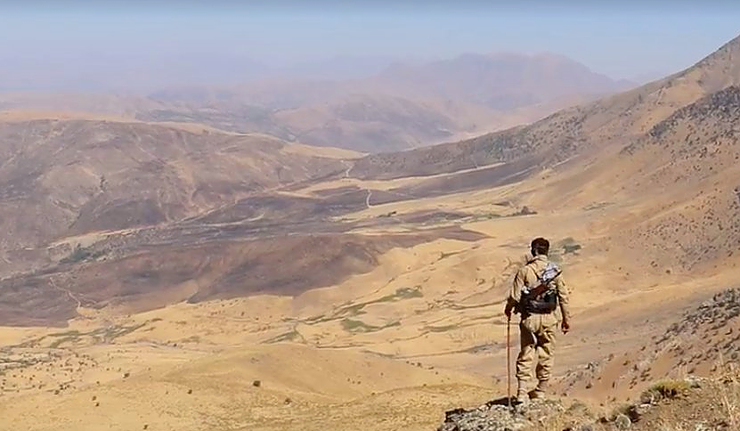 According to Arash Saleh, PDKI representative in Washington, two PDKI peshmerga were killed and three injured in the attack on a training facility. “We call upon foreign countries to condemn this heinous crime of the Iranian regime.” Images from PDKI showed burned fields, craters and smoke clouds near one of their camps. The camp in the photos is located outside of Koya. 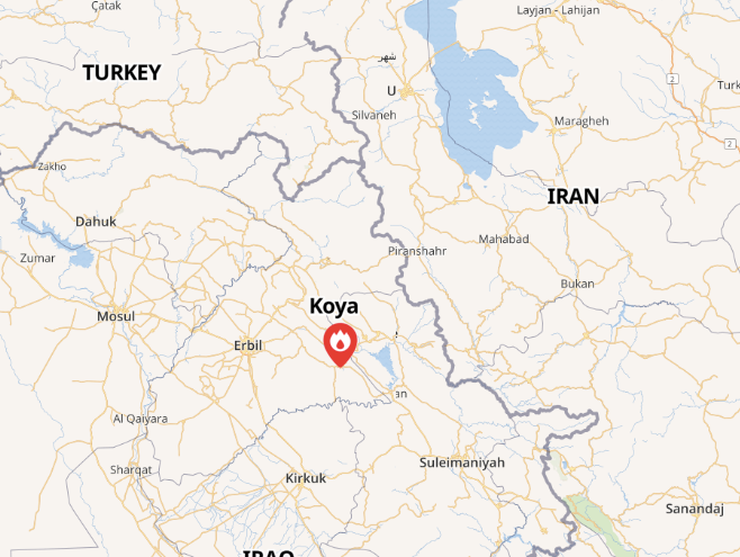 A source from KDP-I, a separate group, said that the IRGC had targeted their headquarters in Koya. “The air and missile attack targeted the leaders of the party at a meeting taking place. Over 10 are dead and 30 injured.” The number of dead would rise to 16 by the afternoon, according to Blesa Shaways. 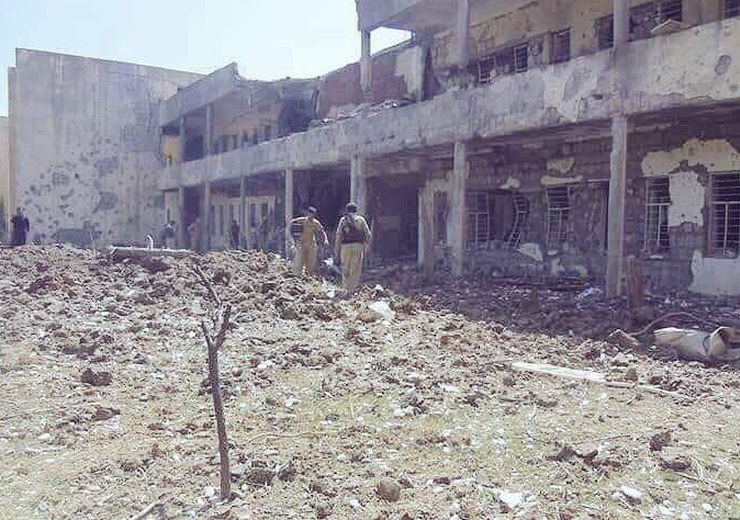 Video of the KDP-I headquarters shows a badly damaged building. Shaways, a correspondent for K24 wrote on Twitter that a series of high level leaders of KDP-I were killed and injured. This included Mustafa Mawludi, General Secretary of the KDP-I, Khalid Azizi, the former General Secretary, and two members named Soheila Qaderi and Hashim Azizi. Iran’s official media did not claim the attack and Tasnim News Agency only wrote in the afternoon that there were “Unconfirmed report of Iran’s IRGC forces targeting PJAK terrorists with ballistic missiles.” Yet none of the locals in Koya said that PJAK had been targeted. In Iran on September 8 several members of PJAK were also reported killed near Marivan a day after 6 other PJAK fighters had been reported killed. The attack came the same day that Iran executed three Kurdish activists. For some this points to a coordinated effort. But others have linked it to the Basra protests, noting that for the Iranian regime the need to strike at enemies in Iraq was a way to balance the burning of the Iranian consulate on September 7 in Basra by protesters. Iran doesn’t want to antagonize the Basra protesters, but it views the Kurds in the north as an enemy it can strike at without repercussions. However it has tightened security in western Iran, in Kurdish areas. Sources said that there was an increased security presence on September 8. Iran’s decision to target the Kurdish groups with missiles represents a new threat to these opposition groups. In the past Iran had chosen assassinations or artillery bombardment along the border as way to strike back. Using long range missiles, such as Fajr-5, or other missiles in its arsenal, represents a new way for Iran to strike at Iraq. Iran has not often used its missiles in Iraq. It did use a Zulfiqar missile to target ISIS in Deir ez Zor in 2017. Recently Iran was accused of transferring several types of missiles to militia groups it backs in Iraq. These included Fateh-110 and Zelzal missiles.